When asked about Danen Kane's music and performances, I found one consistent response - enlightenment. Having never attended his concerts, or for that matter heard his music, my curiosity was peaked. An opportunity to quench my curiosity came one warm summer evening at Green Bay's Cup 'O Joy concert venue. The 'Cup,' as it is referred to, provides a contemporary setting for national, regional and local acts to share their gifts with the public at no charge - only a free will offering given during the show. The ambiance, high-tech sound and light, and friendly atmosphere make this offering one of a kind and just the right setting to soak in this great talent. The music comes deep from inside of the artist; with compassion his songs of worship have a positive impact on an audience. 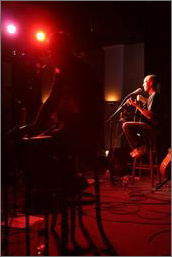 In Danen's music, listeners experience a mixture of the insightful faith-based, praise filled lyrics of Chris Tomlin, unique musical offerings representative of Jack Johnson and Damien Rice, and a voice similar to the jazz great Michael Franks. Danen's songs have continually matured from his initial works to the acclaimed album She – each providing a simplistic, clear listening experience bringing a message of faith, love and hope. 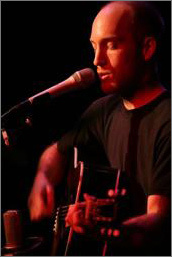 Accompanied by multi-talented friend and fellow musician Michael Morgan, Danen swept the audience away, sharing his art and message in an evening of acoustic-based rock. On this night, Danen cooked up a special treat – a CD release party for his new EP Awakening. The EP represents Danen's first offering after a three year hiatus of personal healing and growth. Good things certainly have come to those who have waited! Sprinkled with personal growth and a rare view into an artist's life, his newest effort shines brightly. Opening the evening with "The Vine" followed by "Song Of Songs" and working into new material including "Alive" and the breathtaking "You Came For Me," Danen moved the crowd of over two hundred through a myriad of emotions. Between songs, both Danen and Michael exchanged comical jabs at one other giving the crowd a reason to draw even closer to the artists. Danen also provided verbal insights into his music, something many artists no longer share with their audience. Throughout the mix of music, information, and mirth the audience was captivated by an artist reaching out to provide a message of hope, love and relief from the trials of life. The energy of his new offering, "Alive" begins by stating 'You feel the weight of depression, like a cage on your soul... like a cloud of resistance, it just won't let you go,' later rising to a sudden change in lyrical cadence just before erupting into a crescendo with the crowd adding it's combined voice while repeating the final lyric 'I believe that I am going home'. Another of Danen's new offerings, "You Came For Me", leads the audience into a story of Christ's second coming with heart-felt lyrics including 'No more daughters without their fathers, no more boys are bruised, no more hunger and devastation, all the soldiers drop their guns. No more broken hearts, never be abandoned again…'. The night's climax came in the form of a medley of time tested hymns with the audience on its collective feet joining together in one voice with Danen, Michael, and the crew of the Cup leading the way. A memorable evening with friends and great art! An artist who truly shares a part of his heart. Can an artist give more? Can an audience ask for more?